A couple years ago, when biopic’s about authors who used initials instead of first names were all the rage, Nicholas Hoult was tentatively attached to star in a biopic about Lord Of The Rings writer J.R.R. Tolkien. 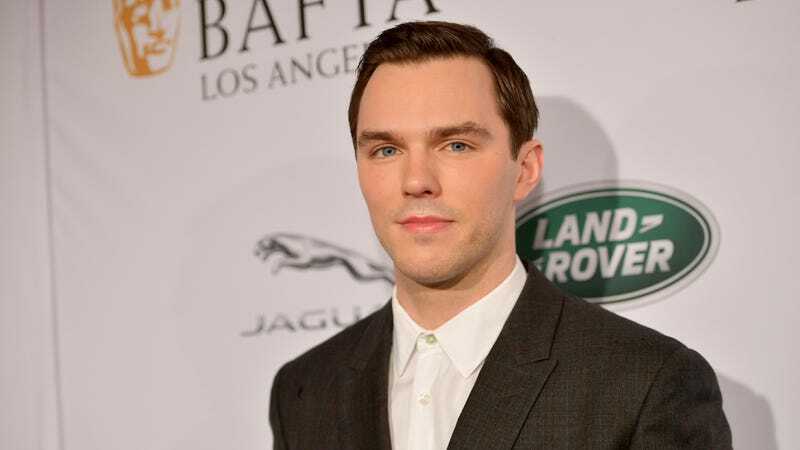 Now, with Amazon’s Tolkien show ramping up, the biopic is back in production with Hoult officially on board to star. That comes from The Hollywood Reporter, which says Lily Collins will be playing Edith Bratt, Tolkien’s “great love” and the woman who inspired “the elven princess characters” in Lord Of The Rings. That makes this all sound very grand and important, which is pretty much what you’d expect from a biopic about a guy who wrote so many famous things that feel grand and important. The biopic, called Tolkien, is about the early days of J.R.R. as he “finds friendship and artistic inspiration among a group of fellow outcasts.” When we wrote about this in 2017, we joked that Tolkien and his group of outcasts eventually have to hurl a magic ring into a volcano and that the incident inspired some of his later work, and we still think that’s pretty funny so we’re repeating it here. Tolkien will be in theaters on May 10.